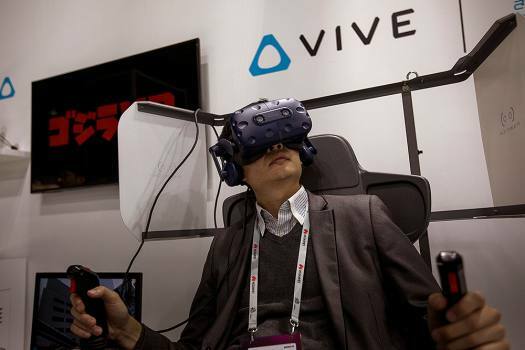 A visitor uses a VR gear of HTC-VIVE, at the Mobile World Congress wireless show, in Barcelona, Spain. 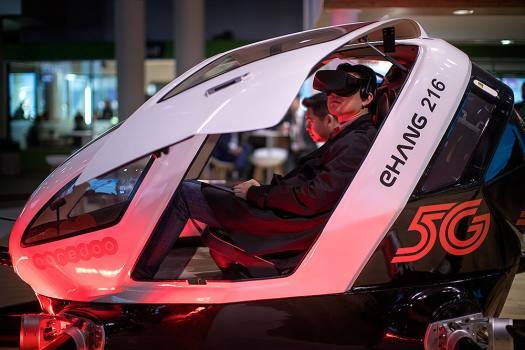 A visitor sits inside a simulator using a VR gear of Ooredoo, at the Mobile World Congress wireless show, in Barcelona, Spain. 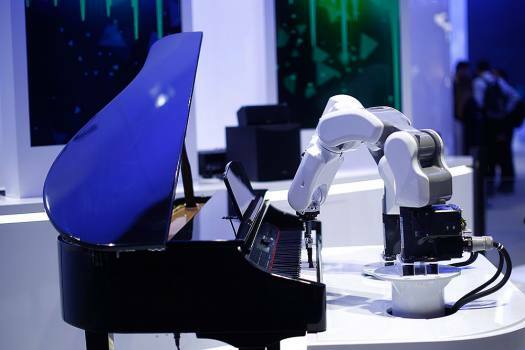 A ZTE musician robot plays the piano during the Mobile World Congress wireless show, in Barcelona, Spain. 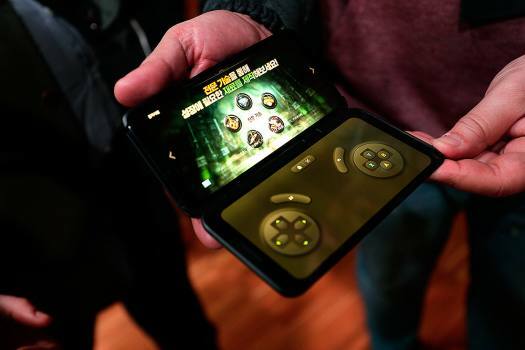 A visitor holds a new model of P18K POP Energizer phone, with 18,000mAh battery, at the Mobile World Congress wireless show, in Barcelona, Spain. 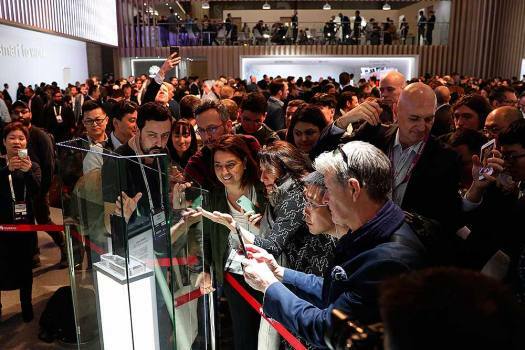 Journalists take pictures of the new Huawei products after they were presented at the Mobile World Congress, in Barcelona, Spain. 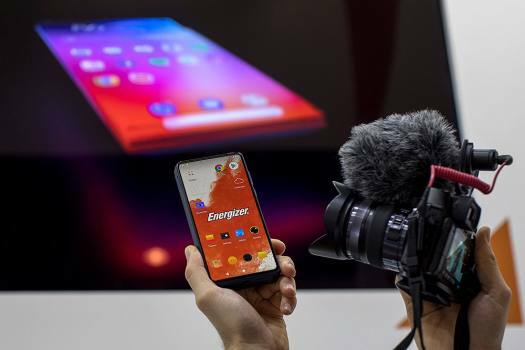 Journalists try the new LG V50 ThinQ 5G smartphone with clip on second screen presented at the Mobile World Congress, in Barcelona, Spain. 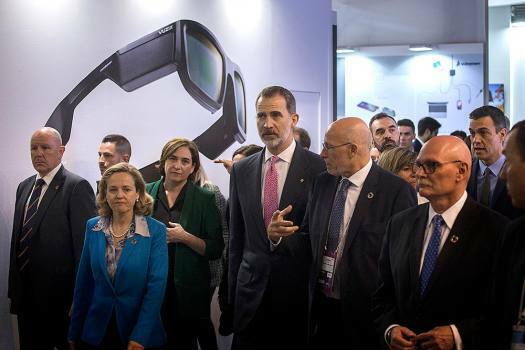 Spain's King Felipe VI, centre, and Spanish Prime Minister Pedro Sanchez, right, visit the Mobile World Congress wireless show, in Barcelona, Spain. 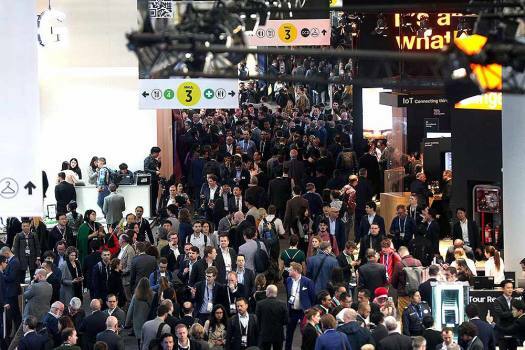 Attendees walk along the Mobile World Congress wireless show, in Barcelona, Spain. 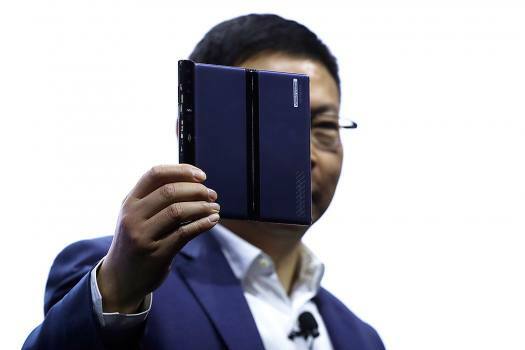 Attendees take pictures of the new Huawei Mate X foldable 5G smartphone during the Mobile World Congress wireless show, in Barcelona, Spain. 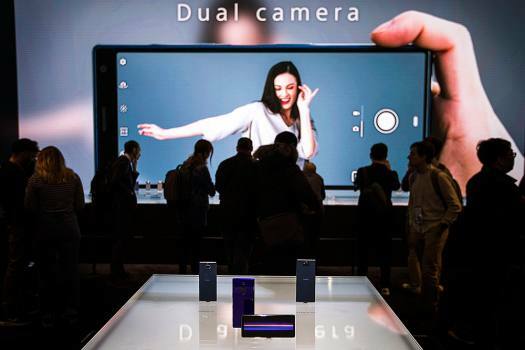 The new models of Sony Xperia 10 are seen displayed at the Mobile World Congress wireless show, in Barcelona, Spain. 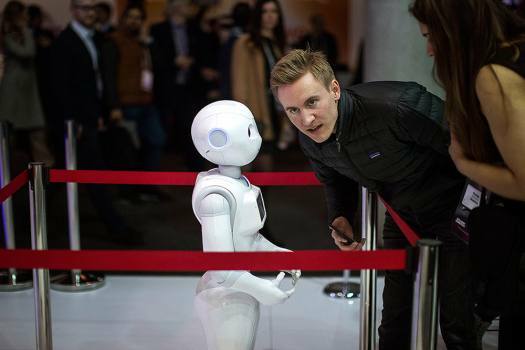 A XR-1 5G cloud robot by CloudMinds speaks with a visitor, during the Mobile World Congress wireless show, in Barcelona, Spain. 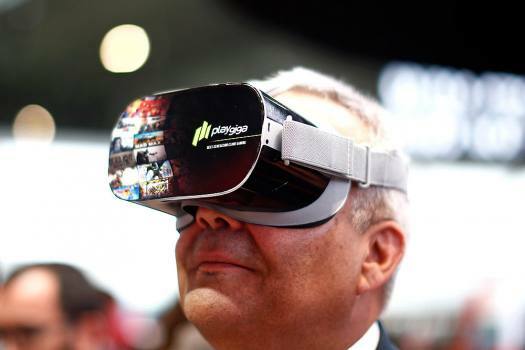 A man uses the new glasses Playgiga during the Mobile World Congress wireless show, in Barcelona, Spain. 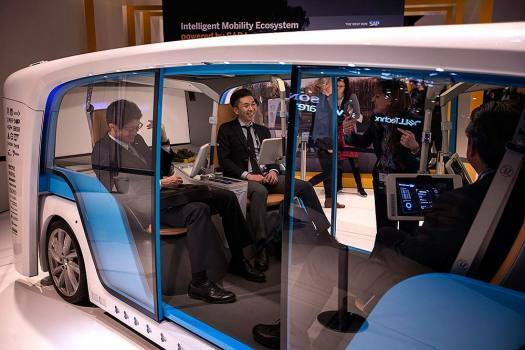 Visitors sit inside an Intelligent Mobility Ecosystem vehicle, powered by SAP Leonardo, during the Mobile World Congress wireless show, in Barcelona, Spain. 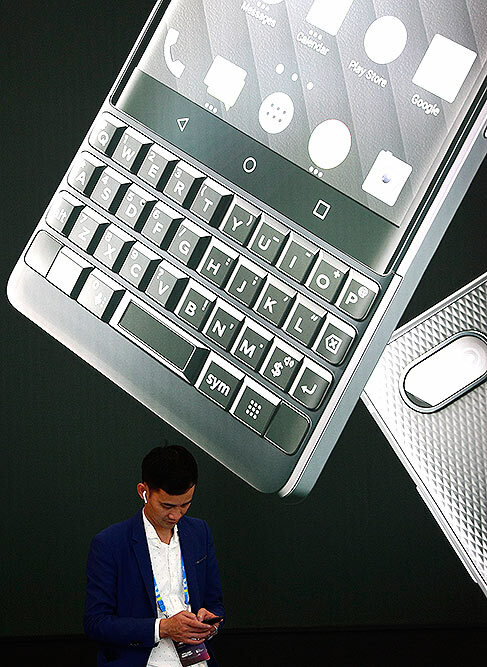 A visitor uses his device at the Blackberry booth during the Mobile World Congress wireless show, in Barcelona, Spain. 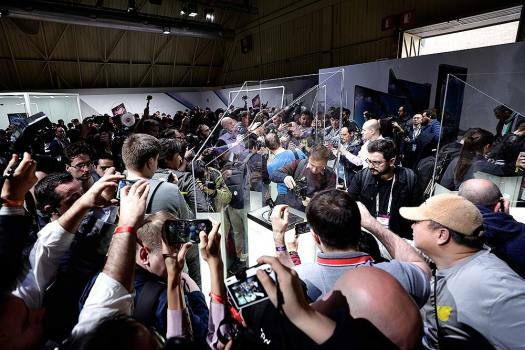 A man uses the new glasses VR 02 Real during the Mobile World Congress wireless show, in Barcelona, Spain. 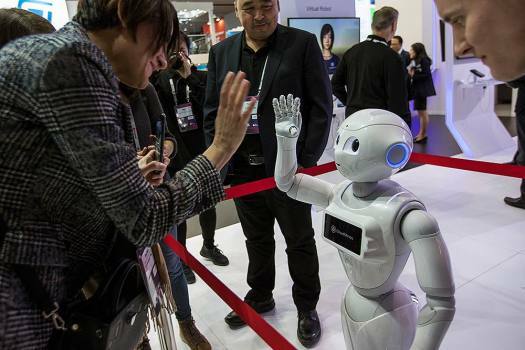 A XR-1 5G cloud robot by CloudMinds shakes hands with a visitor, during the Mobile World Congress wireless show, in Barcelona, Spain. The Israeli spacecraft lost communication with ground control late on Thursday as it was making its final descent to the moon. 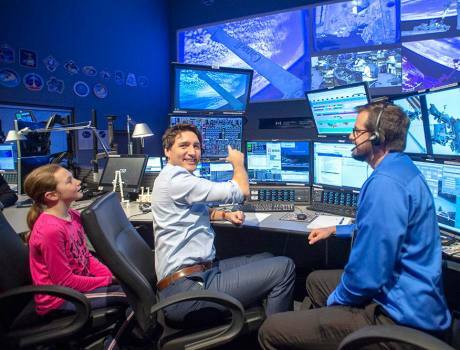 Moments later, the mission was declared a failure. 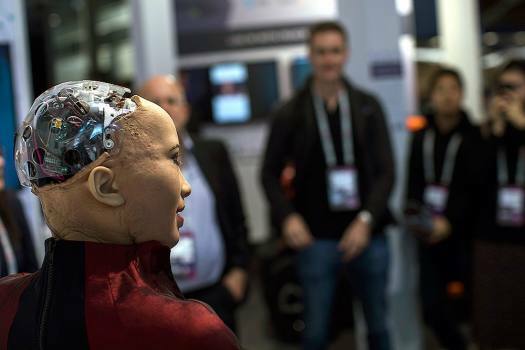 Tim Berners-Lee on Tuesday joined a celebration of the Web and reminisced about his invention at CERN, the European Organisation for Nuclear Research, starting with a proposal published on March 12, 1989. The exoplanet known as Kepler-1658 b is a massive hot Jupiter that whips around its star every 3.85 days, said researchers from the University of Hawaii in the US. NASA's Opportunity rover stopped communicating with Earth when a severe Mars-wide dust storm blanketed its location in June 2018. Chinese scientist He Jiankui shocked the scientific community after revealing that he had successfully altered the DNA of twin girls born in November 2018 to prevent them from contracting HIV. NASA is set to collaboratively work with China's space agency for Moon exploration, in a bid to prepare for setting up a human colony on the lunar surface, as well as future missions to deep space. "India needs a Stanford, California’s spirit of innovation and enabling and friendly regulatory environment," says senior diplomact KC Singh. 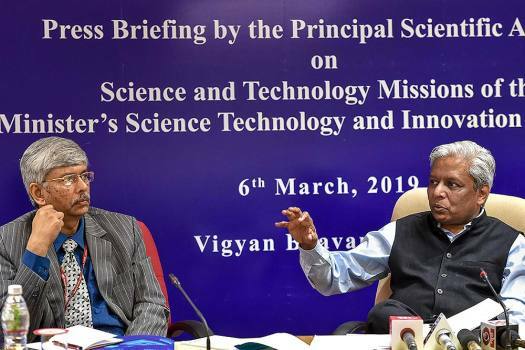 As the GSAT-19E satellite orbits 36,000 km away in space, one of its architects, K. Sivan, the director of Vikram Sarabhai Space Centre, talks about the exciting times. "Siri, Do You Ever Get Things Wrong?"